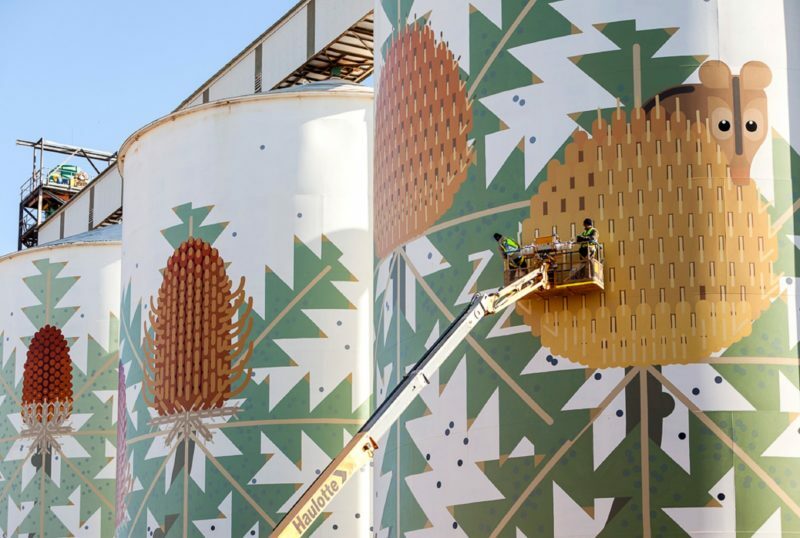 In August 2016 acclaimed Fremantle-based artist Amok Island created the PUBLIC Silo Trail’s second artwork on the trail, Ravensthorpe’s Six Stages of Banksia baxteri, a 25 metre high wildflower inspired mural painted across three CBH Group silos in Ravensthorpe, Western Australia. 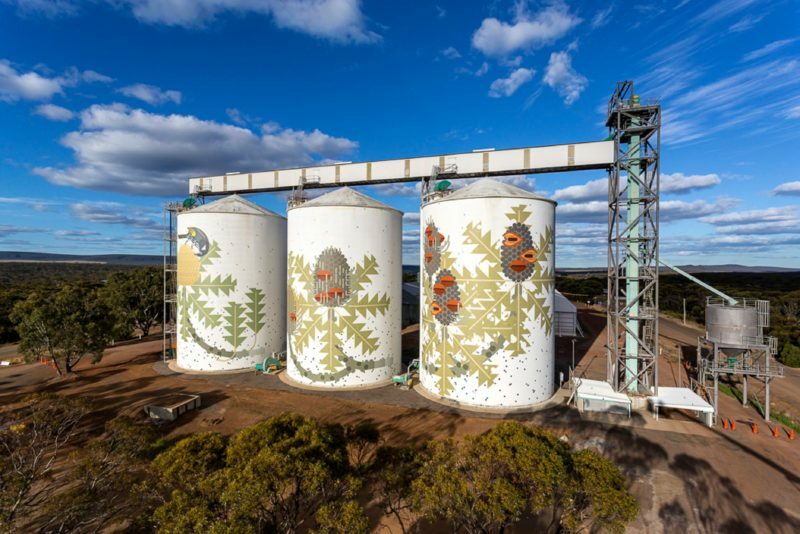 The project, which entailed 31 days, 338 litres of paint and countless trips up and down the silos in a knuckle boom, was the second in a series of monumental mural artworks on grain silos delivered by FORM in partnership with the CBH Group. 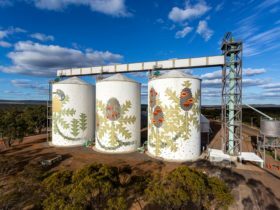 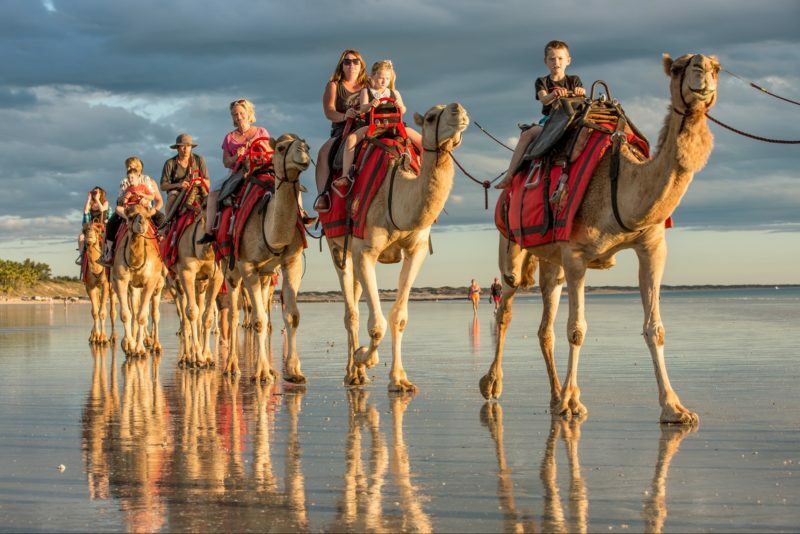 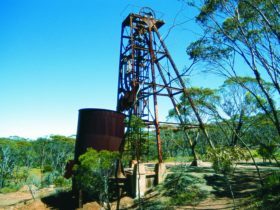 The mural joins silo artworks in Northam, Merredin, Newdegate, Pingrup and Albany which together form a self-drive trail for tourists and travelers to take through regional Western Australia. 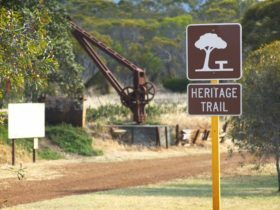 To view the artwork, take the South Coast Highway into Raventhorpe and turn onto Dance Street or Spence Street for the best viewing.